Diamond Blue Financial Services provides strategic solutions and tailored advice to help clients meet their financial goals. We embody our company motto “Focused on you” by understanding the diversity each financial situation brings to the table and tailor decisions to individual clients needs and desires. Our team works together to ensure a balanced financial universe for our clients, which we believe is a prerequisite for maximizing wealth. Additionally, we provide ongoing administration, timely reporting and client interaction throughout the entire process. We have been looking after individuals, business owners and families for over 10 years, and through our experience we understand everyone has different financial needs, goals and complexities. Our financial advisers bring their years of experience to work collaboratively with clients providing the best solutions to each financial situation. Diamond Blue Financial Services is free to choose the financial products that deliver maximum benefit - not maximum fees. Our office is located in the Sydney CBD. We also have office and meeting facilities on Sydney’s Northern Beaches. For more important information on Diamond Blue Financial Services and our financial planners, click on a copy of the company's Financial Services Guide. Diamond Blue is also a proud supporter of the Curl Curl Youth Club which is also known as the Curl Curl Football Club located in Sydney's Northern Beaches. Diamond Blue is the major sponsor of the Junior Development Program at Curl Curl Youth Club. Ben Peters also personally provides his time on the committee with his role as sponsor manager raising funds for the club each year. Diamond Blue is also a proud supporter of the Manly Bombers AFL Club located in Sydney's Northern Beaches. Ben Peters also personally provides his time on the committee with his role as sponsor manager raising funds for the club each year. Diamond Blue Financial Services is a long term supporter of Cerebral Palsy Alliance (CP Alliance) and the 20/twenty Challenge. 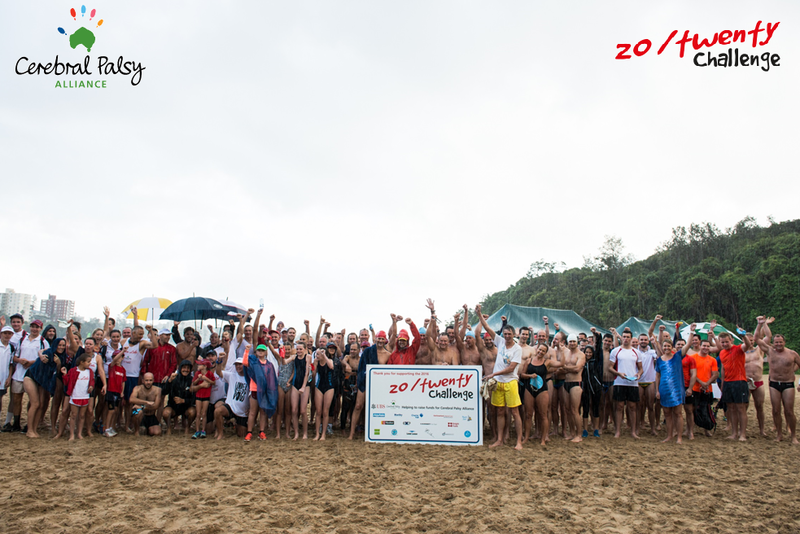 The 20/twenty Challenge has been run for the past twelve years. Teams have gathered on Shelly Beach, Manly at sunrise to take part in a physically demanding yet rewarding experience. Teams of four compete against one another in a "triathlon like" course consisting of a 2km Swim, a 20km Walk/Run* and a 3km Kayak. For more information on how the fundraising from 20/twenty assists Cerebral Palsy Alliance, please click on the below links. Diamond Blue Financial Services, in conjunction with our clients, made a total of $12,000 in donations to the following organisations. Our web site may contain links to external web sites. Whilst such links are provided for your convenience, you should be aware that the information handling practices of the linked web sites might not be the same as ours and do not constitute endorsement of material at those sites or any associated organisation product or service. These external information sources are outside our control. It is the responsibility of users to make their own decisions about the accuracy, currency, reliability and correctness of the information at those sites. By accessing information at or through this site each user waives and releases the E.F.D.B. Pty Limited to the full extent permitted by law from any and all claims relating to the usage of the material made available through the website. In no event shall EFDB Pty Ltd be liable for any incident or consequential damages resulting from use of the material.